The wizards of Redmond work in mysterious ways. Microsoft has made it possible for Web pages loaded with Internet Explorer to open your CD-ROM drive. I tried this out today and it worked like a charm. 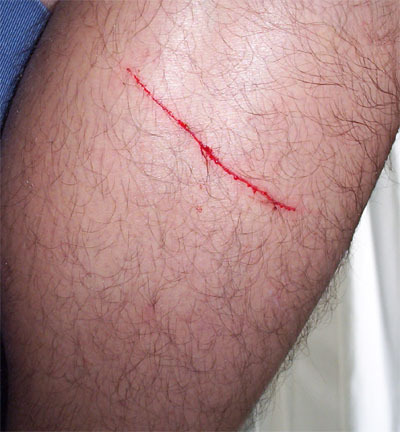 Afterwards, I promptly forget about it being open, and when I got up from the computer, I cut a three-inch-long gash across my leg with the CD door, which, for reasons known only to the Dell Computer corporation, is sharper than a ginsu knife. Am I the first person in history to be physically wounded by an Internet Explorer vulnerability? I can't help but feel somewhat responsible. Dude, you were Dagged by a Dell!